A crisis management plan is now in operation but the hospital does not expect to be in a position to reopen its Emergency Department tonight. LETTERKENNY GENERAL HOSPITAL has been partially evacuated this evening after its ground floor was “completely destroyed” from flooding caused by heavy rain earlier today. A spokesperson for the hospital in Co Donegal has told TheJournal.ie this evening that all ground floors in the three block hospital have been damaged after extensive flooding. “The ground floors of all three blocks are flooded and all wards on the ground floor have been evacuated, the Emergency Department has been evacuated,” the spokesperson said. Pictures published on the Donegal Daily website show the extent of the damage which was caused after the nearby River Swilly overflowed. The hospital has a total of 320 beds but it is not yet known how many patients and staff have been effected by the flooding. Some patients that were in wards evacuated from the ground floor have been moved into other wards in the hospital, the spokesperson said. Email “Letterkenny Hospital partially evacuated after flooding destroys ground floor ”. 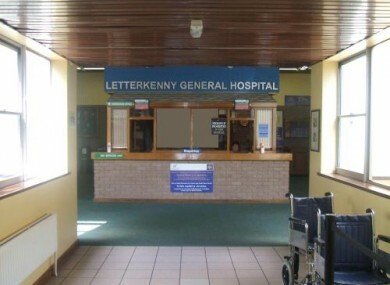 Feedback on “Letterkenny Hospital partially evacuated after flooding destroys ground floor ”.